Hire Fearrington's Leading Popcorn Texture Removal Contractor Drywall Specialist. Professional texture removal, repair and ceiling refinish work. A top-notch company offering affordable prices and free estimates. Large or small texture removal jobs in Fearrington. 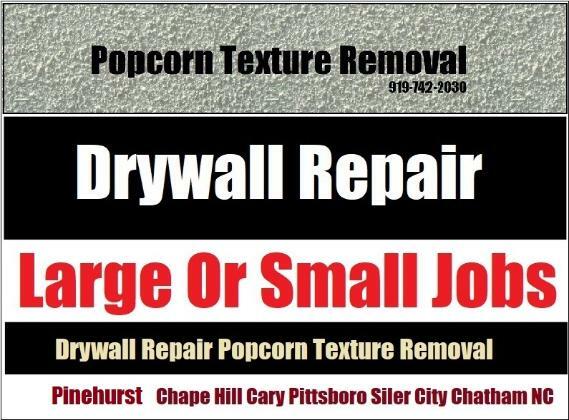 Drywall Specialist: Copyright 2017 All Rights Reserved 919-742-2030 Fearrington's Leading Popcorn Texture Removal Fearrington Village NC.